BENEFITS There are no products in this category. Trading platforms provide the opportunity for all distributors, such as auto dealers, to make the first choice in online trading. Even established online stores should have integration with marketplaces in their online trading activities, to benefit from a strong marketing and large number of customers. We can help you with eBay, Amazon, daparto and other platforms to quickly generate distributors and manufacturers of auto parts high coverage and reach new customer groups. As with the online store, but it depends on professional integration and functioning of the processes in the background. We have extensive experience in working with API trading platforms and also in the preparation of data (tables) for additional tools to work with those platforms. So that we can provide you the opportunity to choose between automatic complex on based work with API or use data tables for your import tool. In the era of digital e-commerce is a trend towards trade and the possibility of opening a trading platform without the high material costs. There are many factors that are firmly anchored in the retail and wholesale stores, and often decide the success or failure of the store, and they should not be ignored for the opportunity to be successful in online trading. Customers want to at any time make purchases and in all situations. Give him the opportunity to do this, where your customer wants and when he wants. CPS Group takes care of the design, implementation, in accordance with your wishes, and also take care of your online store after running in real mode. We support you from the first idea to the first customers - and beyond. We create online auto parts store with a well-thought-out functionality that will ensure the growth and development of the company. 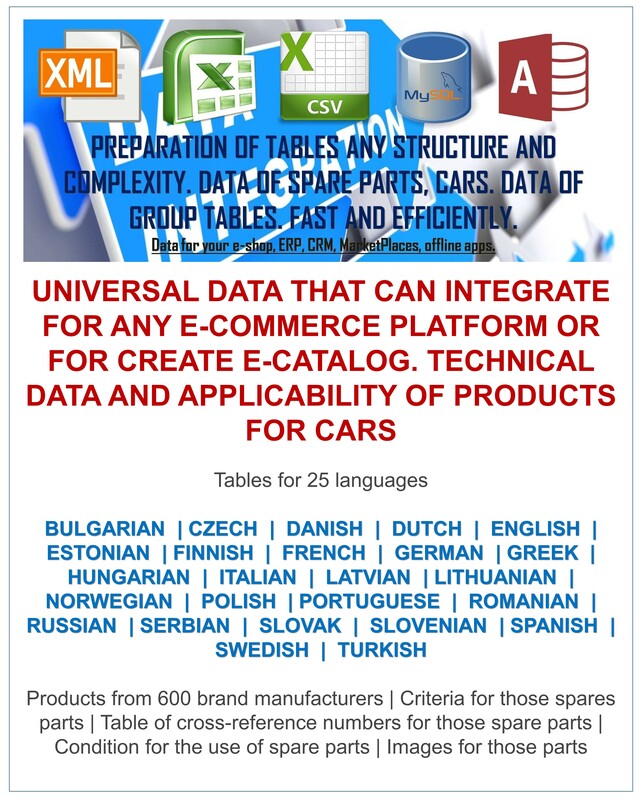 Fully take into account the specifics of the sale of spare parts: search details with analogs,VIN requests, cross references, online catalog, connect suppliers. We created our platform at the request of the leading sellers of spare parts, in close cooperation with them. Professional team of developers hones engine online store spare parts and mechanisms of its work. We are professionals in the creation of sites for sale of spare parts! Give your customers the opportunity to quickly and easily select, order and buy parts! We have developed a versatile search engine, with which will cope even novice motorists. In just a few seconds, the search for the items on the basis database of any size, with a selection of analogs and replacements, information on prices and terms of delivery. Cross references, replacements, possibility of selection in the online catalog and according with REGNUM for different countries or VIN number - we took into account all the nuances of the trade in vehicle spare parts. 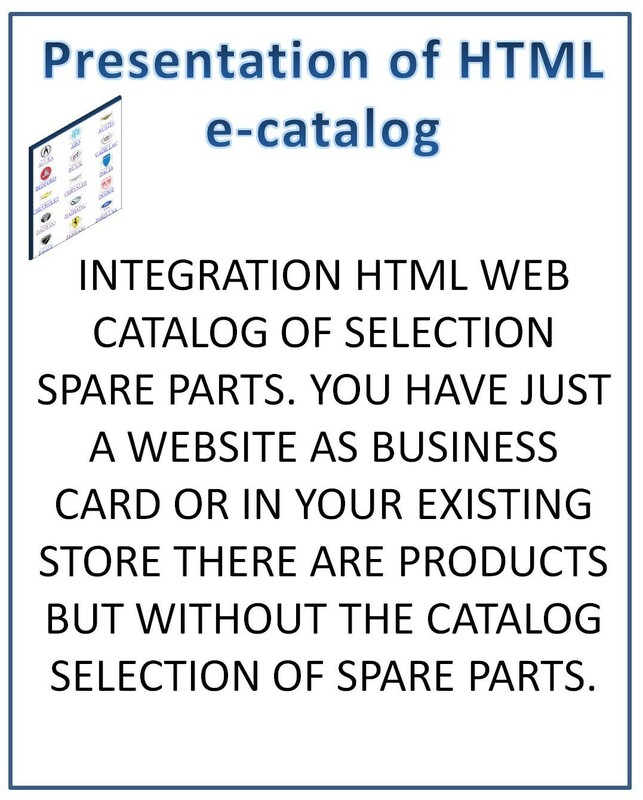 Configure and connect your online store of spare parts by template in just a few days! A little more time - and a fully unique design your website! Doubt or save money? We have provided the opportunity to open an online auto parts store for rent. You strive for perfection? We, too! Constantly improve and enrich the functionality of an online store, as well as to make any improvements that are necessary for you! Our eCats are designed specifically to your exact requirements and specifications to give you uniqueness and the competitive edge over your competitors. All apps designed are eCats are responsive, dynamic, mobile friendly and utilise the latest web technology available. We have a team of highly skilled developers and programmers who bring with them a wealth of knowledge and experience and add value wherever possible. We have solutions creating web catalogs on the fast HTML format that allows you to be SEO friendly for the search engines and have no strong server or on PHP web technology. 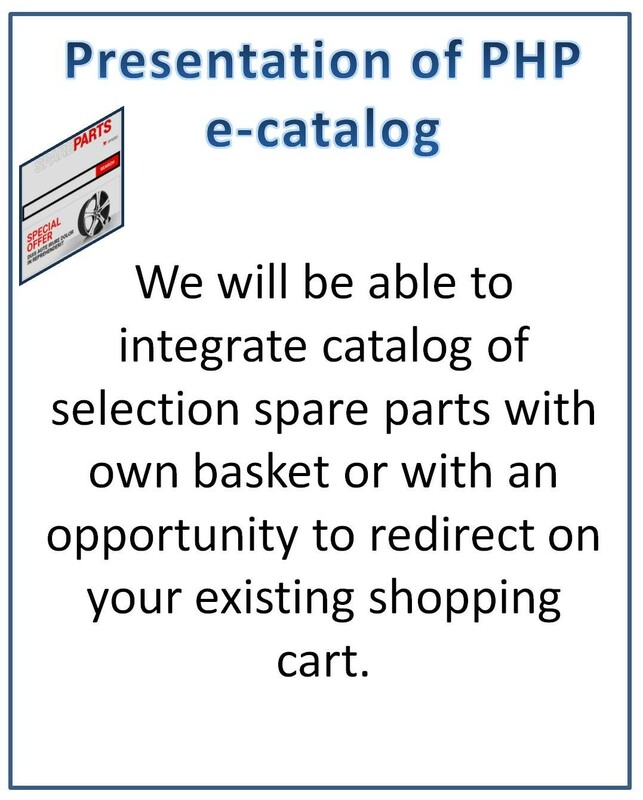 Exchange catalog data with your store is to select the necessary parts, and reroute data to the search page or shopping cart to your store. 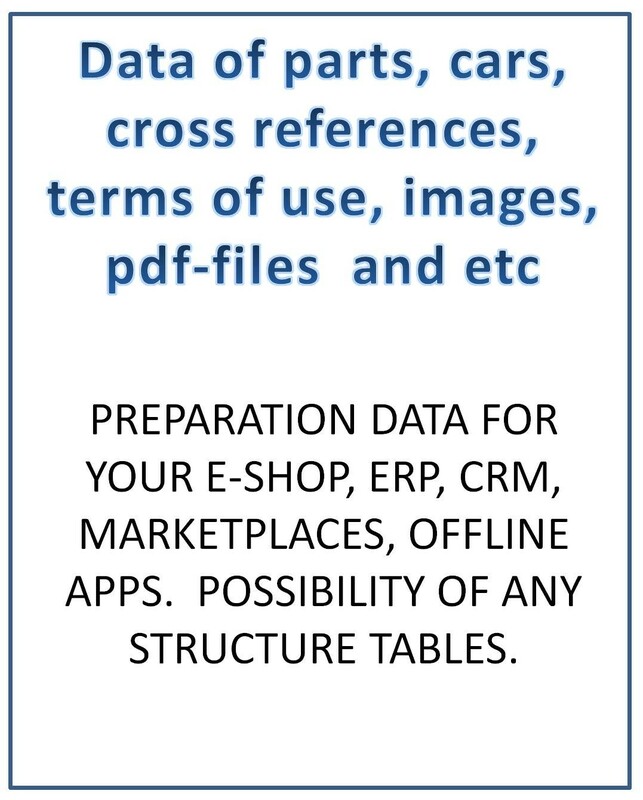 For desktop catalogs we can offer you solutions create individual directories created on the base of your price lists. The increase in turnover due to the significant expansion of the circle of your potential buyers. 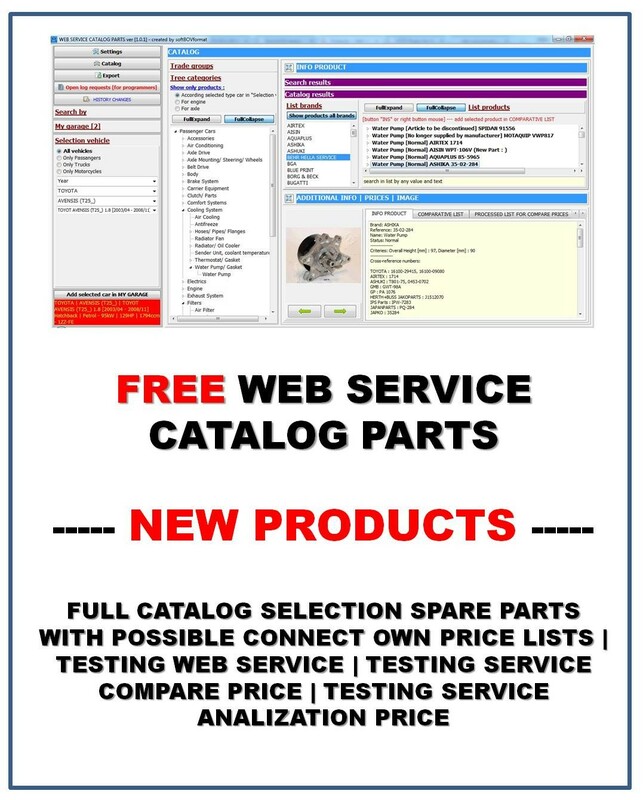 Connecting the electronic parts catalog for the site - it saves labor costs of your employees and attractive interface of your online shop for auto parts. Autocatalog greatly facilitate independent search and selection of parts buyers through a convenient and intuitive structure of the background information. Quick access, instant delivery of results. Greatly simplifies the search for spare parts if the part number is unknown. At your disposal always up to date, accurate and intuitive information base that requires no effort on updating and renovation. In today's digital world, where most of the data is in the public domain it is now no longer a rarity when according vehicle license number it is possible to make a detailed report. We offer our service in accordance with the definition of ID car for your specified vehicle license number. In collaboration with our solutions and technology partners, we offer convenient solutions for e-commerce. In business world, there is no longer suitable for the operation of separate software as stand-alone solutions where there not have communication between the various systems in order to ensure a consistent mapping of business processes in the enterprise. CPS Gmb offers solutions to address this injustice. Our system must meet various requirements. First, scalability is an important prerequisite for the application to be able to grow together with the group requirements. Furthermore, these solutions work as well as they connect together various complicated systems, reliable and offer wide possibilities for reliable solutions errors in network systems. And last but not least, our solutions provide a high degree of comfort to adapt quickly and flexibly to mold a specialized business processes. We provide reliable, flexible and efficient integration solutions, which we are happy to adapt and optimize to your needs. 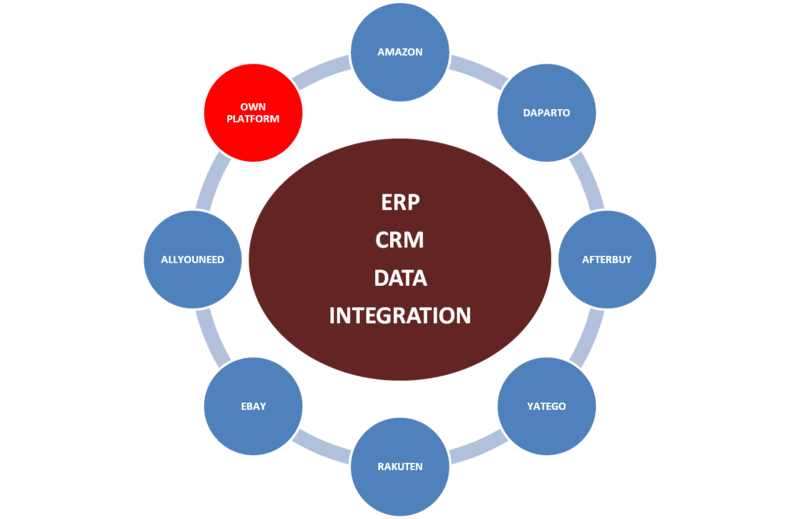 A CRM system deals with frontend information - managing valuable customer data and enriching it through interactions with marketing and customer support. This helps businesses understand prospects and clients, manage relationships and sales pipeline, and upsell and cross-sell products. An ERP system handles critical backend information - generally managing customer information that is required once orders have been placed. This can include purchase history, billing and shipping details, accounting information, financial data, and supply chain management details. Both client relationship management and enterprise resource planning systems independently offer substantial benefits to businesses. Employing a powerful integration system allows for connectivity between the two, providing even more advantages to businesses. Because of this reason, we have created an open, flexible API WebService interface for our solutions that makes it possible to exchange data with external systems (such as ERP / CRM). This integrated system provides efficient distribution of data across all channels and allow to relieve work of employees and concentration their on the core business. Web Services - a group of services for access to information via the Internet. Web services are unique developments in the automobile business. Web services - indispensable mechanism of modern business on auto sales. Provide your customers with exceptional service with minimal effort using the Web Services ! Web services provide and improves competitiveness parts store for comfortable conditions of the order, offers customers an alternative choice of goods and delivery terms, and as a result - this is attract more customers, the maximum satisfaction of demand and an increase in sales. Web services - it guarantee the relevance and accuracy of submitted in online store information parts. This is an opportunity to operate with huge amounts of data without overloading their resources and not caring about the updates and completions databases. 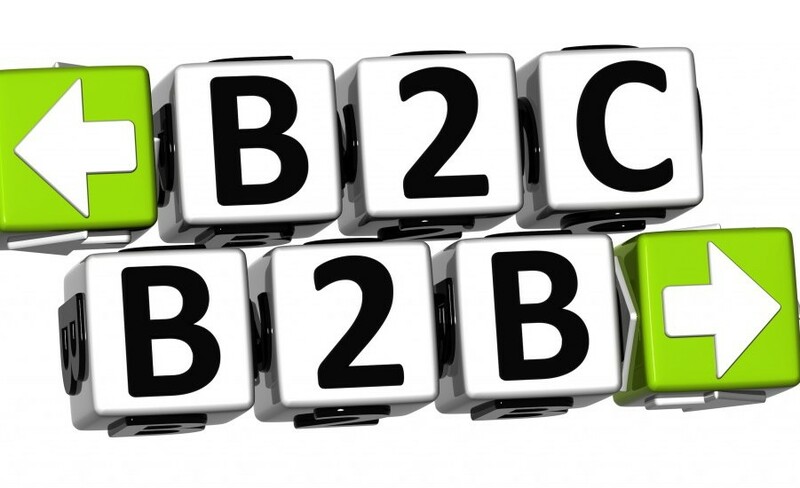 You just need will to show its customers complete and accurate information and quality services. Web services save time of your employees and customers to exclude from business processes need for constant downloading of price lists and updating databases. Search speed increases in times of parts and ordering connected provider comes down to a single click. Web services automate routine manual labor is treated hundreds of SKUs in a single click, guarantee the accuracy of the order, excluding, thus, the error associated with the "human factor", and lowering labor costs of experts, which is certainly a positive impact on the optimization of financial costs. Increase your range of products connected with the supplier by setting their levels of margins and delivery times. Web comparison of prices - a service for connect with platform the auto parts suppliers and integration with your software to use are always up to date information about the availability of spare parts and its analogues in the warehouses of suppliers, prices and terms of delivery as part of your supply contracts. Connecting a service makes it possible to offer the customer a huge assortment of your auto parts suppliers with the ability to select the appropriate delivery terms and prices. Using the services of our company's software, you can adjust the levels of trade margins on parts and delivery time for each connected provider. Full visual product information is always at hand! Service will allow you to be informed on individual items, even if you are meeting him for the first time. 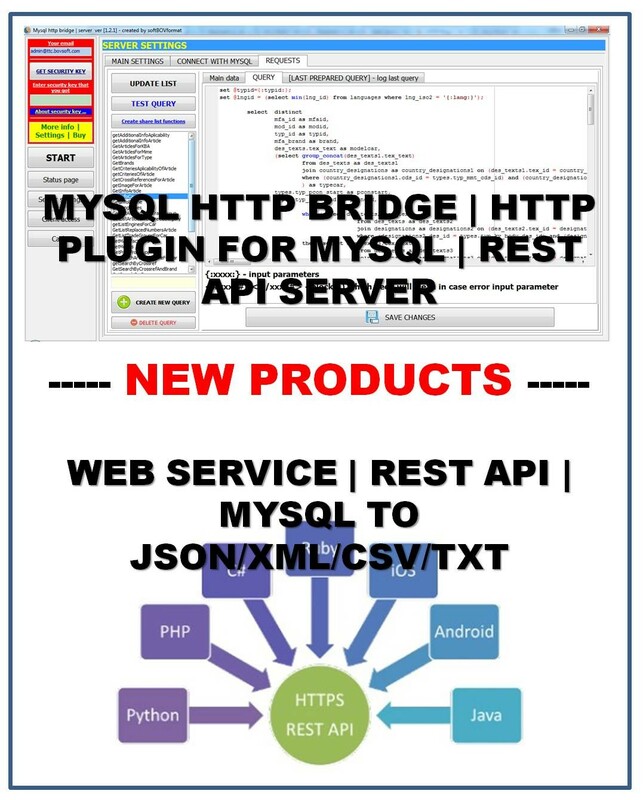 Instead of having to search and download heavy database or table you can connect a service and then you can fill the card product with a single click, such as bar code, manufacturer, code part, name of the part, the details of criteries, cross-references, details of applicability. 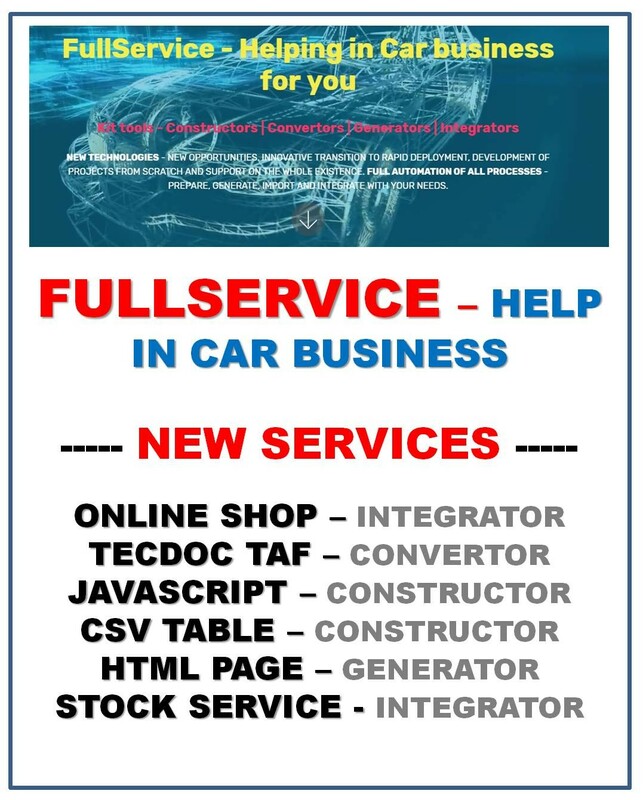 Service helps you quickly navigate in the applicability of the items to car your client to make sure that he picked exactly the part you searched for, and it really suited to his car. Can be installed on site button direct call from the site, which will provide an opportunity to save telephone expenses for your client. 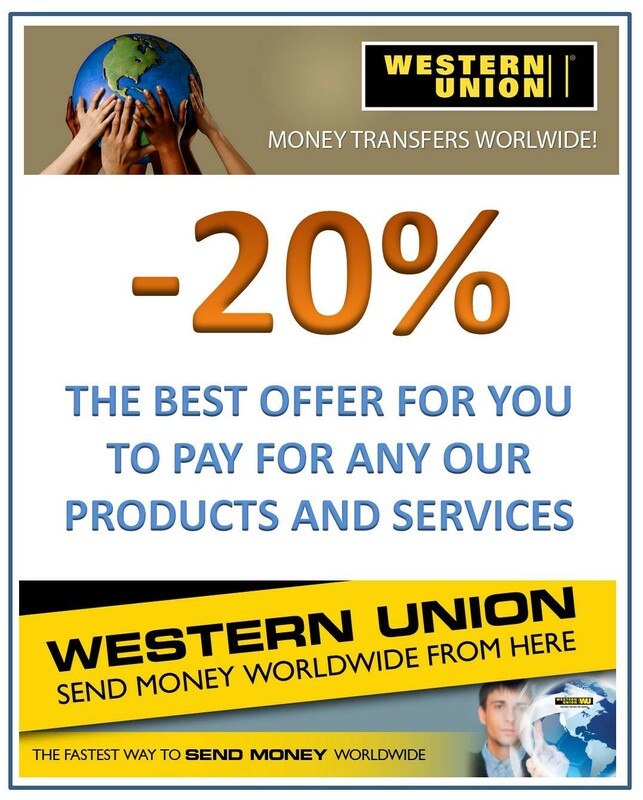 We also offer the opportunity to buy direct city SIP number in more than 70 countries. Development of scripts to collect information on new developments parts from sites of manufacturers spare parts (used by some manufacturers to be able to monitor their competitors of new products). Development of scripts to collect information on new or closed discount program from any store. Monitoring and comparison of price changes from any store. Collecting information about the products of the new brand(s). With years of experience in sales of spare parts and repair of cars, using the work of a dozen of original and non-original the catalog selection of spare parts , we were able on base their experience, group the necessary data and do the ability to creating the necessary data of auto parts, designed for the aftermarket. 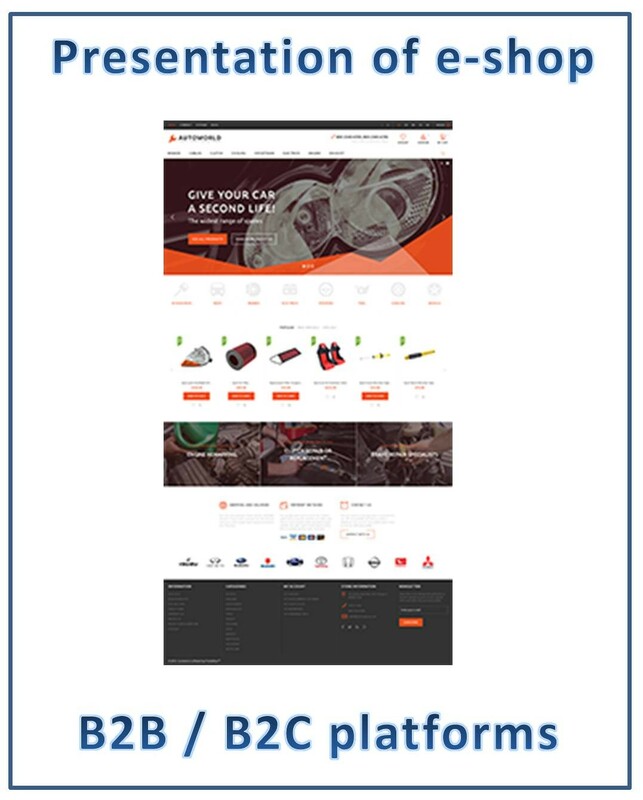 In this catalog, grouped information about the products of more than 500 independent manufacturers of spare parts for cars, motorcycles and trucks and the reference data of more than 12,000 licensed producers. In other words, give the opportunity to make a convenient search engine , through which it is possible to find the necessary spare parts on marks and models of cars, by commodity groups, assembly sites , engine number or type axes. You will be able to search for articles of spare parts according to as trade numbers or the oe-numbers . Practically every detail , has a detailed description and picture , which is certainly much easier to find. With help data that we can offer you or with help our softwares you can create your own system of selection of spare parts , ranging from the creation of catalogs for internal use and finishing filling the data of your online store.